The stunning Brancott Estate Heritage Centre is located on an elevated position overlooking the original Brancott Vineyard. 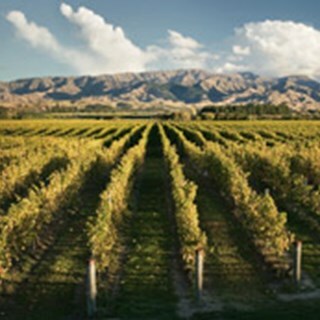 The location highlights the beauty of the iconic Marlborough landscape, and celebrates the home of the original Marlborough Sauvignon Blanc plantings - a varietal that has gone on to become the world’s favourite New Zealand wine style. 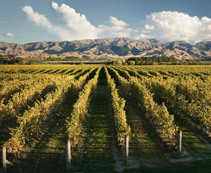 Featuring a restaurant specialising in fresh regional produce, unique wine tastings and tours, an opportunity to see the endangered New Zealand Falcon and premium hosting facilities, any visit to Marlborough should include a stop at the Brancott Estate Heritage Centre. My wife and I had booked to do the cycle tour of the vineyard but an early start to the summer and thus to the harvest precluded this. However, Brancott offered us a complimentary wine tasting to offset the disappointment. This was very interesting and informative. Our host, Kim, was superb, extremely engaging and vey knowledgeable. Also a quick thanks to Steve who kindly saved us a couple of walks to/from the car park - enjoy your stay in Chatteris. Was very special getting to spend time with Fern and her trainers. You have a beautiful setting, staff 1st class, but please don’t say it is a cycle tour around the vineyard. Ann our host was superb ,attentive , knowledgable but even she could not save out disappointment at not being able to cycle around. It is a ride up the road and back, no more , no less. We would have liked to have photographed the red barn, where it all started- out of bounds. The food was excellent, the wine tasting was delicious but a cycle tour which we thought we were paying for,it is not! Falcon experience was outstanding. What was the most disappointing was that the staff doing the tasting and serving lunch had almost NO knowledge of the wines. The couldnt speak to if the wines spent time in oak, were dry or really anything. The worst tasting experience of any winery anywhere.